Flowering sunflowers on a background sunset. Sunflowers in the Field Swaying in the Wind. Close-up. Beautiful fields with sunflowers in the summer. hd00:25Flowering sunflowers on a background sunset. Sunflowers in the Field Swaying in the Wind. Close-up. Beautiful fields with sunflowers in the summer. 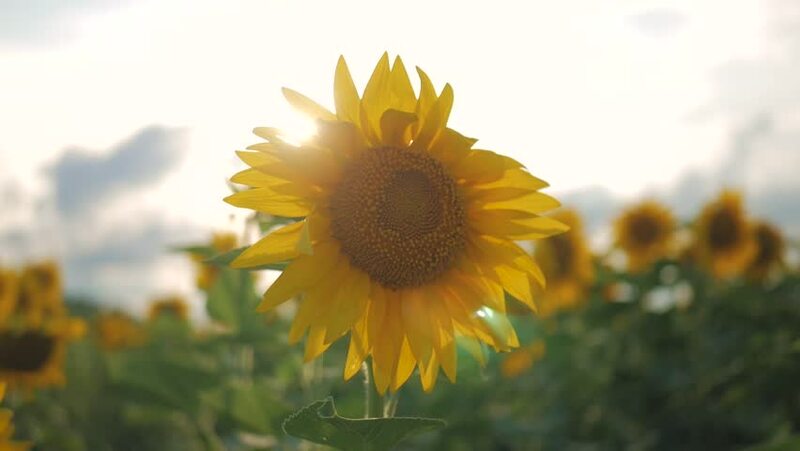 hd00:47Sunflowers in full bloom dancing in the wind. Flowering sunflowers. Sunflowers field. Agricultural production.